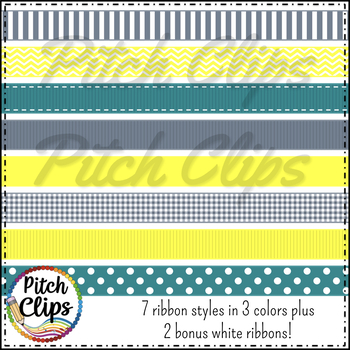 Tara Pack - Clipart (Clip Art) 60 Papers & 23 Ribbons- 4 coordinating colors! 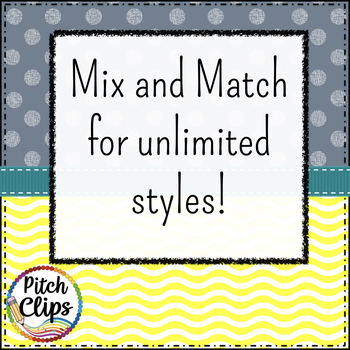 Are you looking for a fun combination of papers and ribbons to create your amazing resources? Are you a new seller that needs a quick package to get you started? Then this Tara Pack is for you! • 6 Mixed color papers. • 18 Grey and White Papers. • 18 Turquoise and White Papers. • 18 Yellow and White Papers. • 23 Ribbons - 7 patterns in 3 colors plus 2 White Ribbons. • All papers in square, portrait, and landscape. **Note** You are purchasing a document that links to a file in the cloud because of TpT file size restrictions. Please email me at PitchPublications@gmail.com with any problems. For personal or commercial use. SMART and other IWB use just fine. You may not use these to create clip art or digital papers to sell. Download preview for TOU. • Come like my Facebook page and find a Freebie! 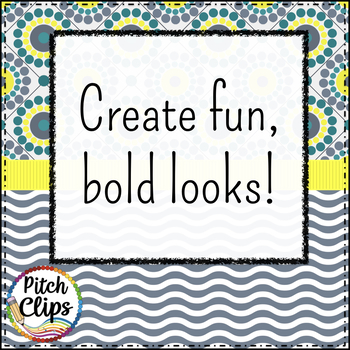 Check out my other clipart and digital files! • Rainbow Brights Digital Collection - Papers, Frames, and more! Visit my other store, Pitch Publications, for music education resources! Follow me! - Stay updated on new products by clicking the green star at the top of the page! Visit my website and blog!